An Invitation to a Poetry Reading Event! Time: 7:00 p.m. guest speaker, open mic starts at 8 P.M.
Culture Section – Poet Ali F. Bilir`s book, Migration Ballads, a combination of his two prior books, Göç Türküsü (1995) and Güz Anımsamaları (2003), has been published by Plain View Press in the US with the support of TEDA Project by Turkish Ministry of Culture. 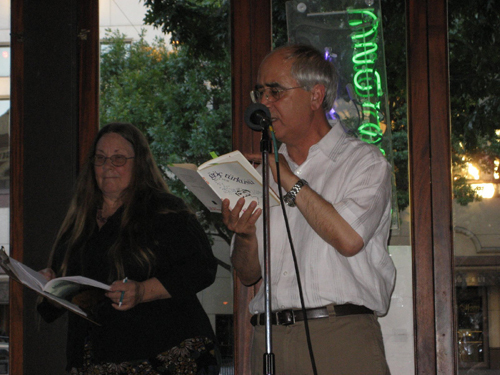 Migration Ballads is translated by Mehmet Ali Sulutaş and edited by poet Susan Bright. Migration Ballads is Promoted in the U.S.
Ali F. Bilir attended 2 poetry readings at Austin in order to promote his recent book, Migration Ballads. 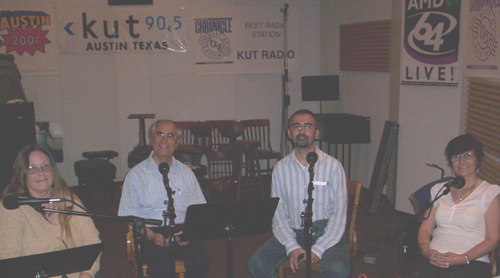 Ali F. Bilir, his wife Saadet Bilir, his son Kuzey Bilir and publisher Susan Bright were guest speakers for the Radio KUT, for a show named, Kuta Eklektikos, by John Aielli. Ali F. Bilir read selections from his recently published book, Migration Ballads, at the program. Brightman read same verses in English. In the show, Kuzey Bilir held the task of interpreting and F. Saadet Bilir gave information about Turkish culture and Turkish music. Migration Ballads is Published in the U.S.!